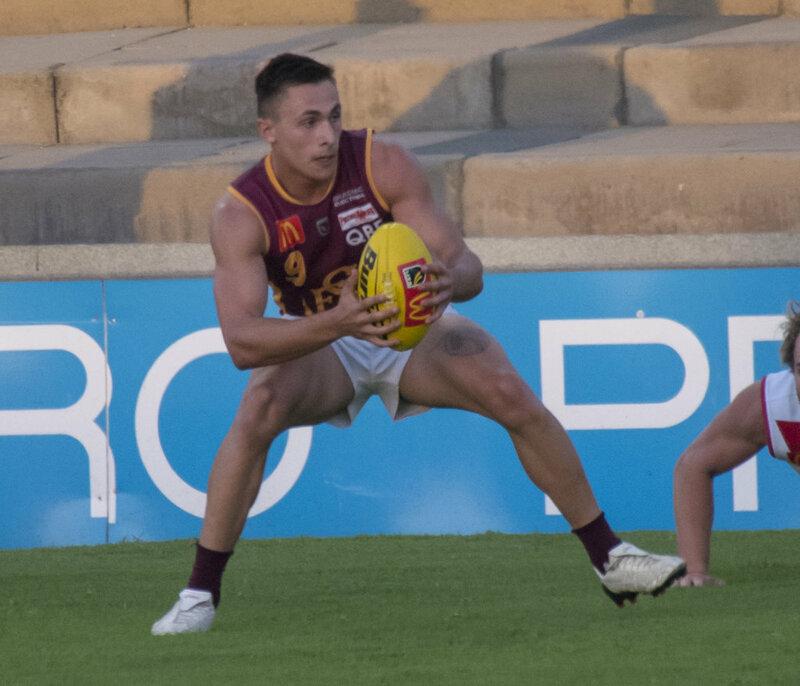 DESPITE having played in three of the past four WAFL premierships, Josh Deluca couldn’t be more motivated to help Subiaco to the 2018 flag to cap a perfect season and he is excited at the chance of doing that on Optus Stadium. 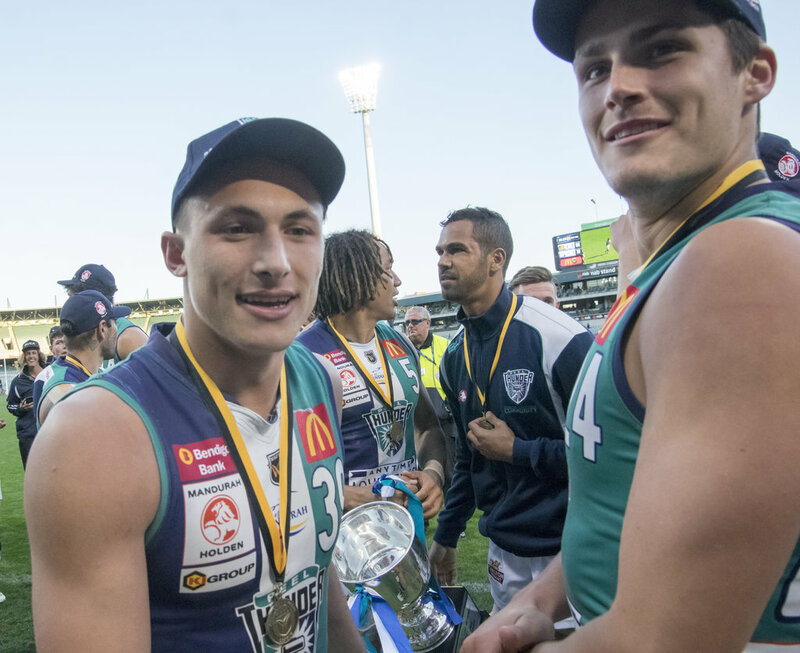 Deluca was a young small forward in the Subiaco premiership team of 2014 before ending up being picked up by the Fremantle Dockers and over the past three years he did manage four AFL matches, but at Peel Thunder he played in the past two Grand Finals wins over the Lions. 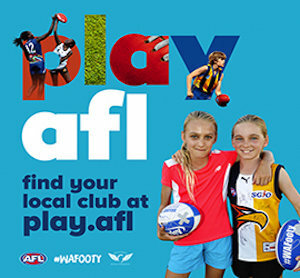 That makes him a 22-year-old who already is a triple WAFL premiership player and has turned himself from a clever small forward, to a hard-bodied, tough and prolific ball winning inside midfielder on his return to Subiaco in 2018. Given Deluca looked like a player ready to make his mark in the AFL as a midfielder, it was somewhat a surprise he was delisted by the Dockers at the end of 2017 but that was to Subiaco's benefit as he elected to return to his original WAFL club. Deluca has slotted right back in tremendously well forming an unstoppable midfield alongside the likes of Kyal Horsley, Leigh Kitchin and Chris Phelan who has gone to war against in the past two Grand Finals where his Peel team prevailed against Subiaco. He averaged 27.9 disposals across his 15 games this season including eight of those seeing him rack up 30 or more possessions so he's certainly played a key role in Subiaco's undefeated season. 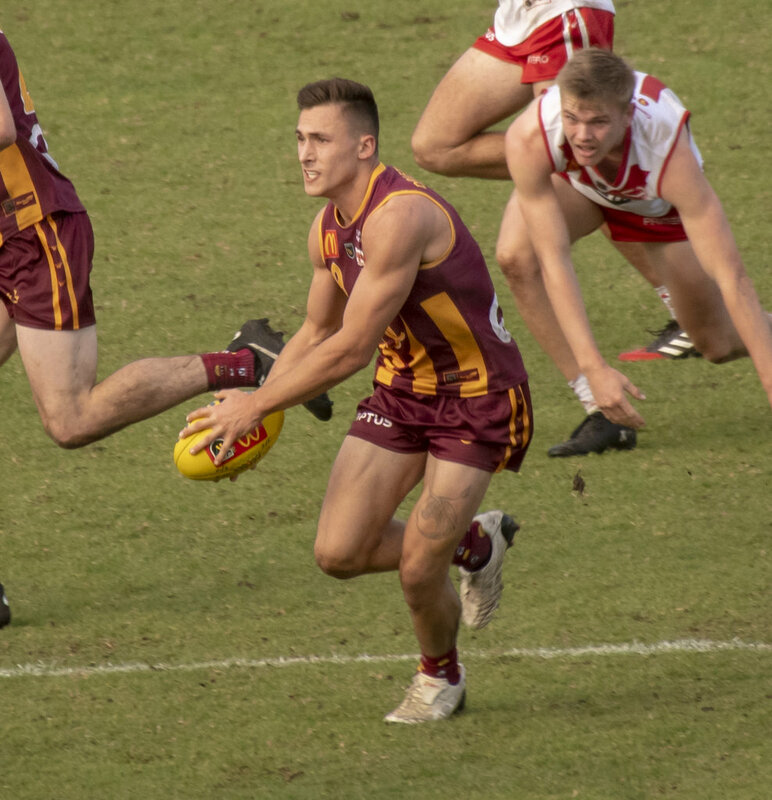 Deluca then was superb in Sunday's second semi-final win over South Fremantle with 27 possessions, 13 tackles and a goal as the Lions won their way into a fifth successive Grand Final awaiting the winner of the preliminary final between the Bulldogs and West Perth. 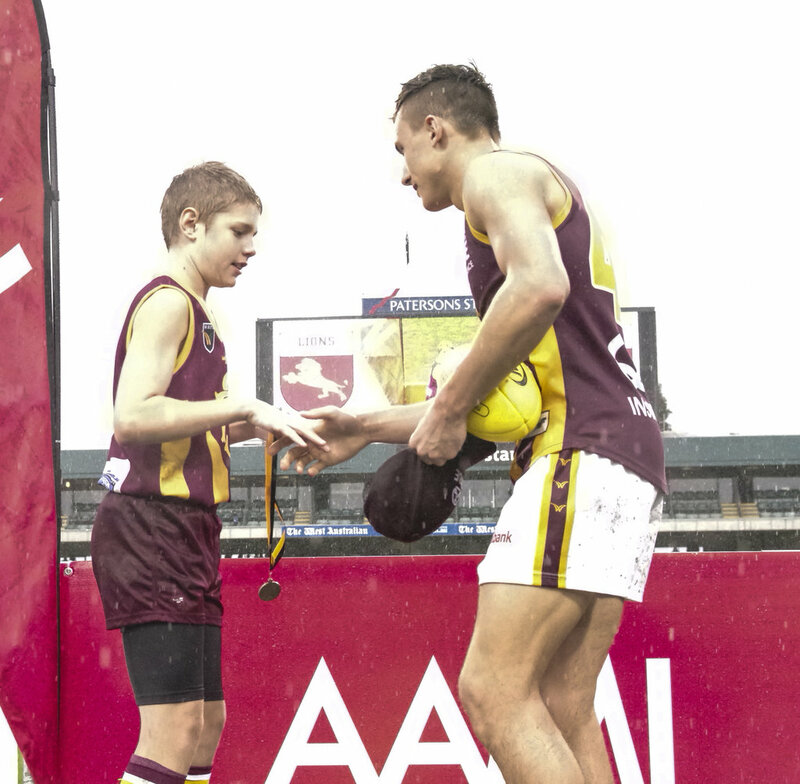 As a 2014, 2016 and 2017 premiership player, Deluca knows all about what it takes at this time of the year and he's excited to be part of Subiaco's quest for the premiership to make up for the past two years. "I've been in the right place at the right time over the last couple of years and I'm very excited about the next two weeks," Deluca told 91.3 SportFM. "I'm sure all the other boys are as well and so are the coaches. We are super excited that we have another opportunity in a Grand Final and we know we have to make the most of it now." Subiaco is now a Grand Final win away from completing the perfect season and becoming the first team to do so since East Fremantle in 1946 and just the third ever after East Perth also accomplished the feat in 1944. But it's not something Deluca or his teammates are thinking about now, it will be more something they can reflect on with pride down the track if they succeed on Grand Final day at Optus Stadium. "We try not to feel the external pressure of how our season has unfolded and the expectations that might have been put on us. We are just taking it week by week and of course it's been a really big year and we've done something that has rarely happened," he said. "But that's going to be something we can look back on and reflect on, it's not something that really matters right now. We won't put any extended pressure on ourselves, we just have to focus on the job at hand and see how we go, and hopefully get the win." Looking back on his three years and especially the last two Grand Finals playing with Peel Thunder while listed at Fremantle, Deluca would have preferred beating someone other than Subiaco to become a triple premiership player but he'd never trade those experiences for the world. "It's a weird feeling and you know a lot of the guys and are friends with a lot of them, but once you cross the white line it's game on and you have to get past all that," Deluca said. "It was definitely bitter sweet getting the win over them but I really enjoyed my time there at Peel and the success that we got. "Obviously it was unfortunate that Subiaco was the club to have lost those last two Grand Finals but I was on the other end and we really enjoyed it. But now it's a complete focus this year on getting the win back to Subiaco lifting the cup again." Looking back on Sunday's second semi-final win over South Fremantle to earn a place in the Grand Final, Subiaco did have to hit back from conceding five of the opening six goals of the game. 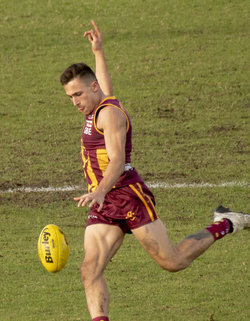 But the Lions responded well including kicking five goals to nil in the third quarter to set up the eventual 18-point victory and Deluca was proud of the response from his Subiaco teammates. "It was a pretty slow start from the boys and we were pretty disappointed with it and Schoey came out at quarter-time and basically wanted us to get back to playing our game, and our ruthless and relentless brand that we pride ourselves on," he said. "We needed to just pick up on some areas like our urgency and some of our defensive mechanisms, and be a bit more bold with our ball movement. "We needed to capitalise more when we went inside-50 and after quarter-time the boys were quite switched on and showed the character of the team to respond and get ourselves back in front." 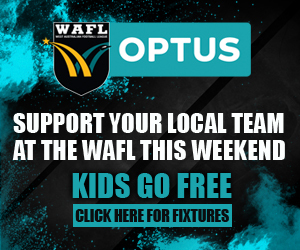 The win means that the Lions have earned the weekend off ahead of the fifth straight Grand Final appearance but there will be a nervous wait for a host of players in terms of final selection for that clash with either South Fremantle or West Perth at Optus Stadium. Subiaco's reserves did lose on Sunday to East Perth to mean they play in the preliminary final and from that side last week there was Brad Stevenson who kicked five goals and Adam Cockie who racked up 26 possessions who will be desperate to break into the Grand Final team. Then there's Rhys Waters too who will fighting to be fit but for now, Deluca and his Subiaco teammates that won't be playing in the reserves on Sunday will be looking forward to heading to Fremantle Community Bank Oval, enjoying the weekend off, and finding out their opponents. "It's good, especially if you might have some niggles or anything that might be sore so it gives you time to freshen up," Deluca said. 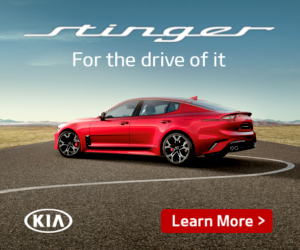 "But it also gives the coaches a good opportunity to really knuckle down on some areas they might want us to improve or focus on leading up to the big day. It's a great opportunity for the team that wins the second semi and we'll make the most of it and put our best foot forward." 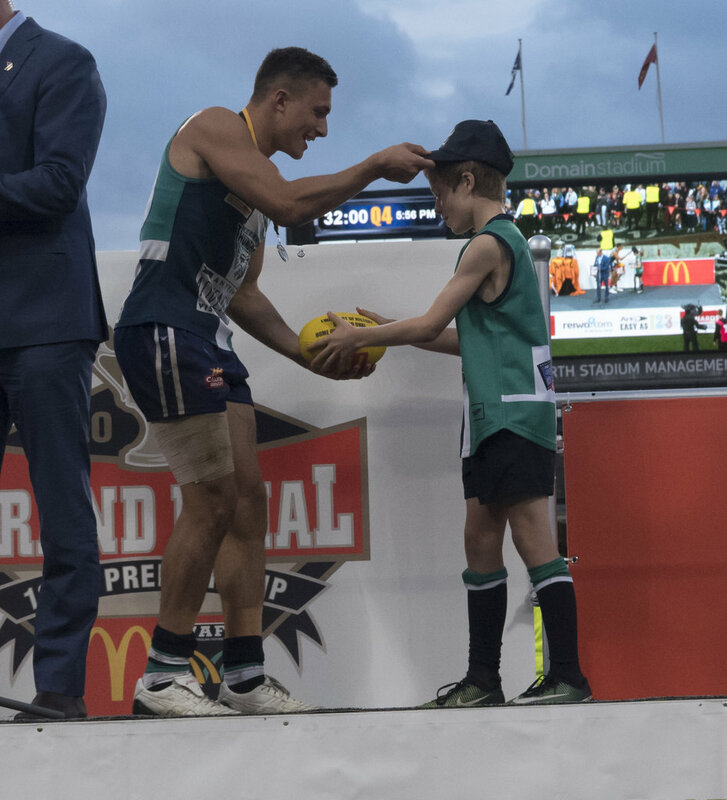 With the Grand Final to be played at Optus Stadium, it will be a first time for all the players involved in the premiership decider to play on the venue for the first time and Deluca is certainly looking forward to that experience. "I'm very excited and none of us boys have played there before so it will be a great experience," he said. "We're really looking forward to seeing how the ground is and more importantly getting a good crowd down there. Hopefully the whole idea of being at the new stadium will help draw in a bigger crowd and we are just really looking forward to the opportunity to get to play there." Given he's only 22, has turned himself into a tremendous inside midfielder who is also damaging on the outside with his ability to run, use the ball on his left foot and kick goals, there's every reason Deluca deserves another opportunity too. He certainly wouldn’t turn down the chance if it eventuated, but his focus is on trying to win a premiership for Subiaco first. "I'd really love to climb my way back into the AFL system at some point but whether it happens or not, I can't really control that," Deluca said. "I'm definitely going to put my best foot forward to give myself every opportunity to somehow get back in."